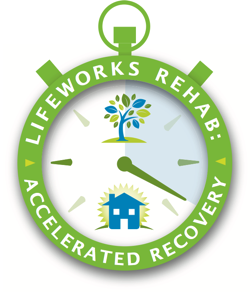 What Is The LifeWorks Rehab Difference? Why choose LifeWorks Rehab for your rehabilitation? There are as many reasons as there are patients that we've helped get back on their feet. LifeWorks Rehab is a uniquely well-rounded program rooted in compassionate, outcome-driven care at the forefront of technology... a total health care experience. Why choose LifeWorks Rehab over home health? Every patient, and every recovery story, is unique. Our team has developed tools that help patients feel more prepared and comfortable throughout the process. Here are some resources to explore.